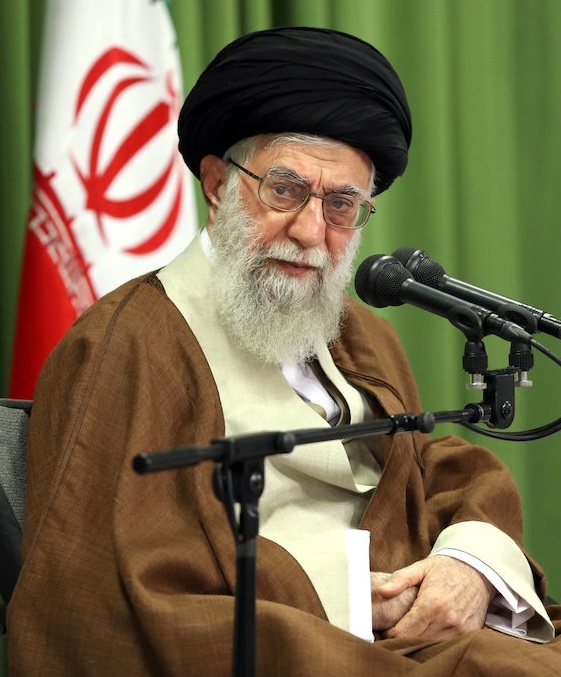 On October 18, Supreme Leader Ayatollah Ali Khamenei condemned President Trump’s policy towards Iran and the nuclear deal as “nonsense.” But he emphasized that Iran will not be the first one to tear up the agreement. Khamenei also expressed frustration with European powers. He urged them to oppose U.S. moves and to avoid interfering with Iran’s defense affairs. “We won’t accept Europeans singing along to the Americans’ coercive words.” In his October 13 speech, Trump decertified the nuclear deal, called on Congress and U.S. allies to address perceived flaws in the agreement, and imposed sanctions on the entire Islamic Revolutionary Guard Corps. The following are excerpts and tweets from Khamenei’s speech to university students and Olympiad winners.